Over the past few weeks we have seen aggressive buying and new highs in the metals, in particular base metals Zinc, Lead and Nickel. These industrial metals followed strength in rebar and ironore. The moves have been fueled by new China regulations affecting supply and the short squeezes that resulted. Further to the supply question is demand. Most of us are familiar with the empty cities China built post the GFC of 2008. 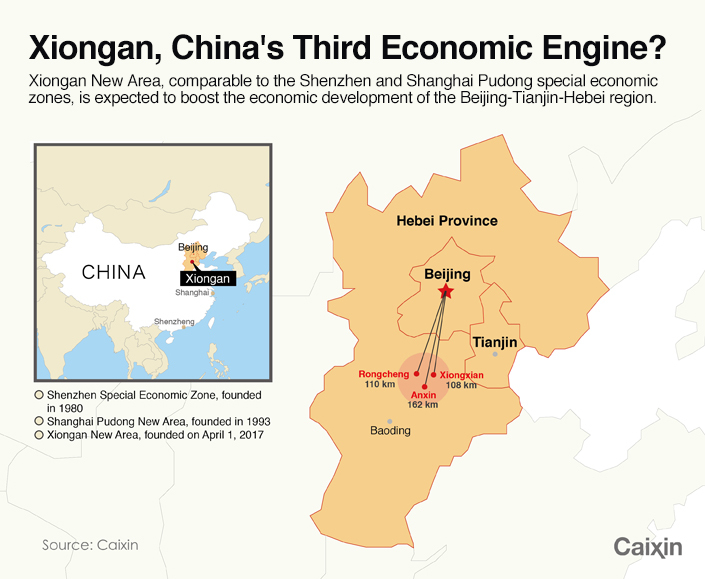 China is now bringing forward the design and planning of the Xiongan New Area to facilitate the coordinated development of Beijing and surrounding regions. China announced the plan for Xiongan New Area, an economic zone about 100 kilometers south of Beijing, on April 1, 2017. The new area will span Xiongxian, Rongcheng and Anxin counties in Hebei Province, eventually covering 2,000 square kilometers. Speculation is alive in well in China. Housing prices in the zone more than tripled overnight before authorities ordered a halt to property transactions in an area that is still largely farmland. We are familar that metal prices have sky rocketed, also shares of companies such as local cement-makers and real-estate developers went verticle. Beijing has now a population of over over 20 million people. The creation of Xiongan is as a model city, with a clean environment, fast transport and high-tech industries, to attract millions of people. The hope is that a big slice of Beijing’s “non-capital functions”, from businesses to universities, will move to Xiongan. Initially, it will cover 100 sq km, nearly twice the size of Manhattan. Eventually, the aim is to reach 2,000 sq km, more than twice as big as New York city or Singapore. Analysts at UBS, a bank estimate 4trn yuan ($580bn) could be spent on building Xiongan over the next two decades. The Chinese government refers to Shenzhen, a southern metropolis, and Pudong, Shanghai’s financial district, as examples of successful urban developments that it hopes to replicate. Caution is needed though new areas have failed to gain traction such as;Binhai in Tianjin, just east of Xiongan. On Friday The National Development and Reform Commission (NDRC) announced the planning will focus on transferring Beijing's "non-capital" functions to the area to drive the growth of the Beijing-Tianjin-Hebei region. For commodities market it means an earlier than expected demand in industrial metals, concrete and other building materials. Copper today hit the highest price since November 2014. For currencies we have seen a strong bid return to the Australian dollar $AUDUSD. Hebei announced recently it would call for international bids to plan and design Xiongan New Area. Global companies are welcomed to bid with their ideas for a 30-square-km area at initial stage. China feels the success of the country's two economic zones in the Pearl River Delta and Yangtze River Delta regions, Xiongan is expected to promote the formation of a world-class city cluster.